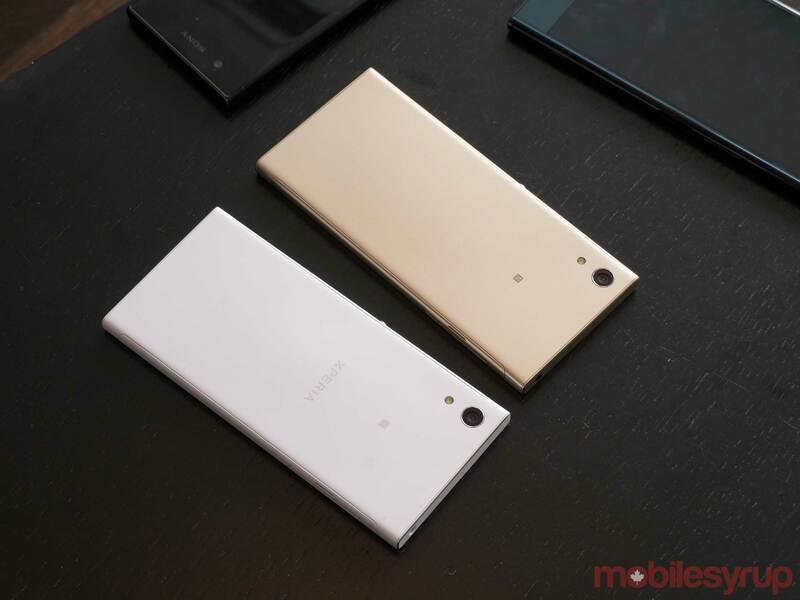 Amongst the new quartet of smartphones Sony announced at Mobile World Congress (MWC) in Barcelona, two of them are new iterations of mid-range devices from last year, the Xperia XA1 and Xperia XA1 Ultra. Sony seems to be doubling down on the strategy it went with last year, intending to launch four devices in succession. That strategy was centred on specific carrier support for each model, and while those details have yet to be confirmed for Canada, it wouldn’t be a stretch to assume the same could happen this year. 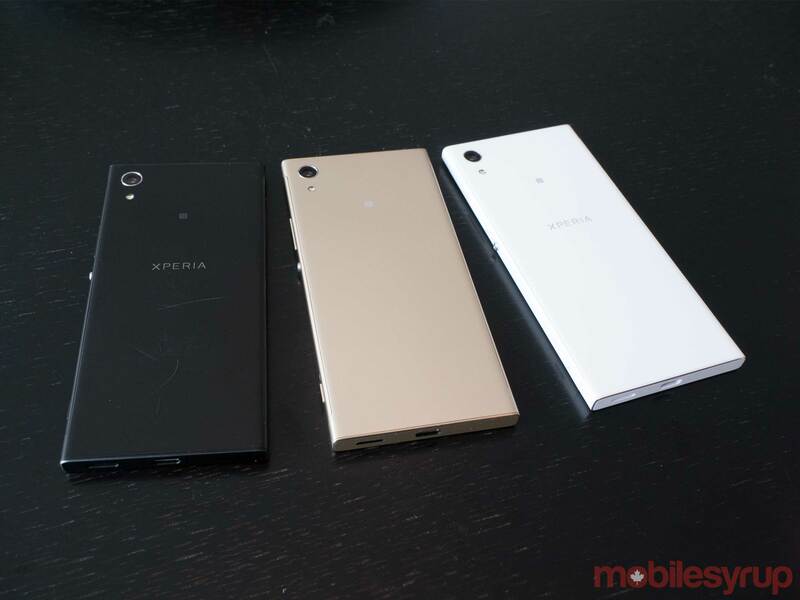 So, what of the Xperia XA1 and Xperia XA1 Ultra? We got some hands-on time with both prior to the announcement to see what a difference a year might make. The slimmer look at 2.64-inches wide is pretty much the same, yet for some reason, we initially felt like it had shed a few millimetres along the edges. The design philosophy isn’t all that different, in any case. The 5-inch IPS display and 1280 x 720 pixel resolution are back again, with practically no bezels on either side to maintain the same look from before. The back plate is the same material. Button placement, SIM/microSD tray and headphone jack are situated in the same places. The microUSB port has been replaced with a USB-C one, and Sony has raised internal storage to 32GB and RAM to 3GB. The microSD slot can expand storage up to another 200GB, though Sony didn’t seem to disagree when asked if higher-capacity cards would work. We take the 200GB as the ‘official’ number. The 2,300mAh battery is the same size, but it’s unclear if a newer processor might positively affect how long it lasts per charge. The octa-core MediaTek helio P20 is an upgrade from the P10 used in last year’s model, so we can only gauge efficiency after spending more than just hands-on time with it. 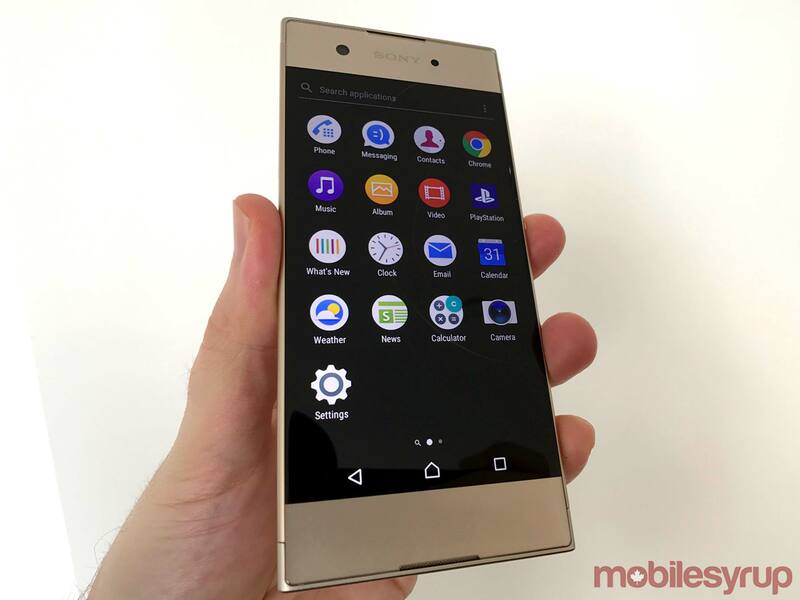 Either way, Sony’s excellent Stamina mode for saving battery life is only available manually here, not with any of the automatic settings the flagship Xperia XZ Premium and Xperia XZs include. Not surprisingly, there is no water or dust resistance on this device in keeping with how Sony only kept that to its premium models. What is supposed to be significantly different is the rear camera. The 23-megapixel 1/2.3 Exmor RS image sensor is a lot like the one used in past devices, like the Xperia Z5 and Z5 Compact. It’s an interesting move, and one that probably comes with a trade-off. In packing in more pixels with a familiar sensor and retaining the same f/2.0 aperture, low-light shooting performance is probably going to mirror that of the Z5. We can’t say for sure without further testing, but there’s a chance. 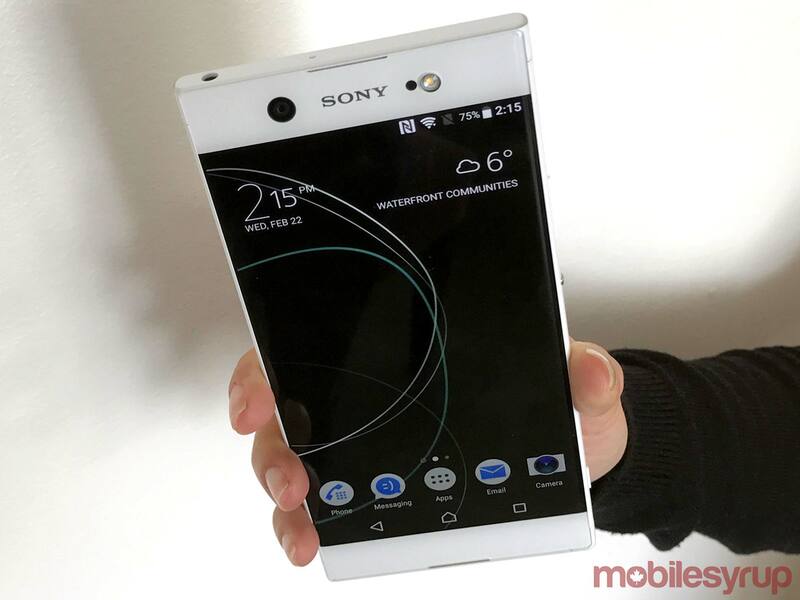 The front-facing camera appears to be identical to last year’s model. Based on initial impressions, the phone felt nice to hold and was relatively quick in basic navigation. That it will run Android 7.0 Nougat out of the box is nice, and Sony seems to want to keep it updated into the next version. As an affordable mid-range device, it looks great, except competition looks to be stiff in that category this year, especially considering how much better mid-range handsets already got in 2016. That takes us to the Xperia XA1 Ultra, which falls under a similar situation. 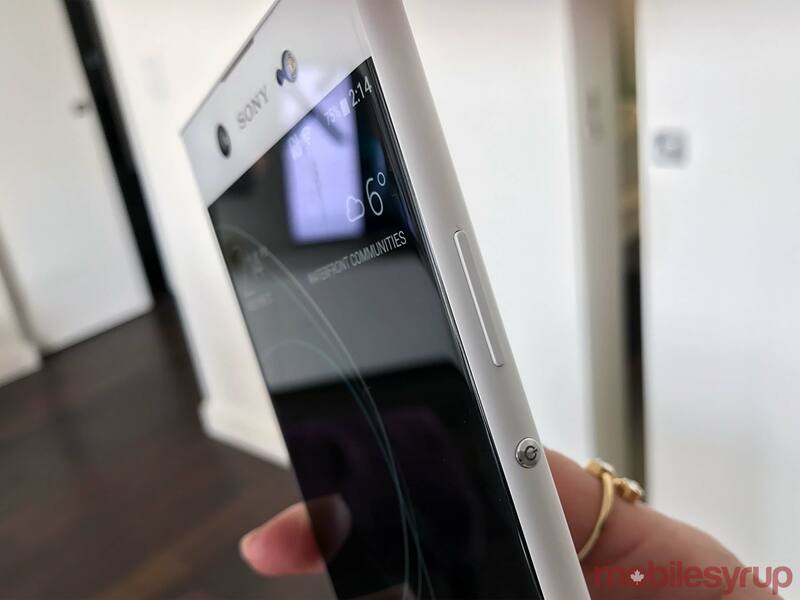 Much like its smaller sibling, the overall design philosophy hasn’t changed a great deal, though it is more similar (in some respects) to the other three devices Sony is releasing. When the Ultra launched last year, it was touted as a mid-range device that was heavy on media consumption. With the 6-inch 1920 x 1080 pixel IPS display, that was an easy case to make, but the form factor was still bigger than almost anything like it. Sony hasn’t veered away from that with the XA1 Ultra. It’s big, a smidge taller and thinner, with the same width. One difference we noted was the weight, which does feel lighter. This new model is 188g, whereas its predecessor was 202g. The display is the same, right down to the pixel density. The same 2,700mAh battery is inside. 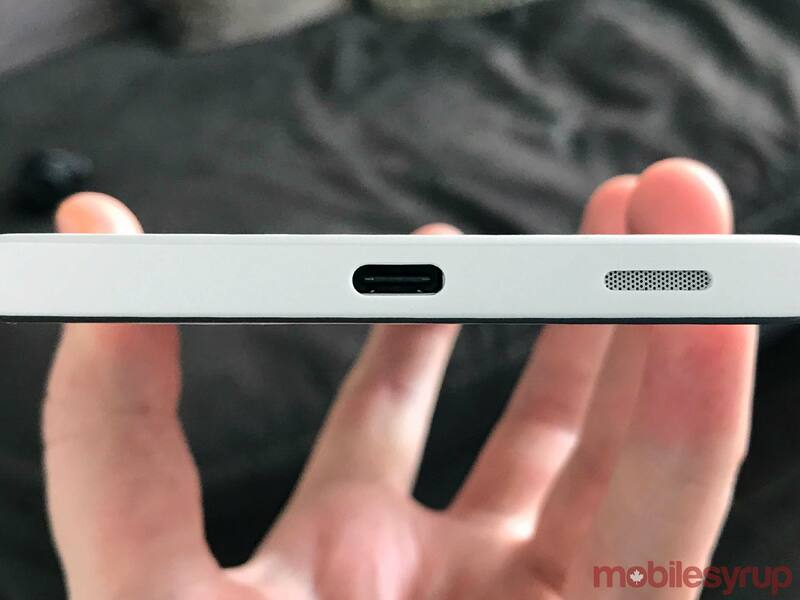 A USB-C port replaces the microUSB one from before, but buttons and ports are the same otherwise. No water or dust resistance to note here. The same MediaTek helio P20 chipset Sony put in the smaller Xperia XA1 is in the Ultra too. Internal storage is bumped up to 32GB, with 4GB of RAM, both double what last year’s model had. Memory expansion is also the same deal — up to 200GB, though you can probably get away with more than that. Sony also opted to put the same rear camera from the smaller XA1, so you get the 23-megapixel sensor with f/2.0 aperture and fast autofocus. The front camera is different, however, being a 16-megapixel 1/2.6 Exmor RS sensor with optical image stabilization and front-facing flash. Clearly, Sony figures the selfie crowd will be all over that feature. It will come with Android 7.0 Nougat out of the box, with an upgrade path to the next major version, according to Sony reps. This is a niche device, no matter how it’s positioned. The size and mid-range specs would appeal to a particular customer, except Sony hasn’t fully articulated who that actually was based on last year’s sales. It’s not known how many of the Ultra sold in 2016, and was among a select few that had a 6-inch display. The rounded edges and lighter weight did make this one feel a little more wieldy, and the screen is vibrant enough at its 1080p resolution. If it sells for $249 outright like its predecessor did, it’s not a bad deal for someone seeking a larger display. 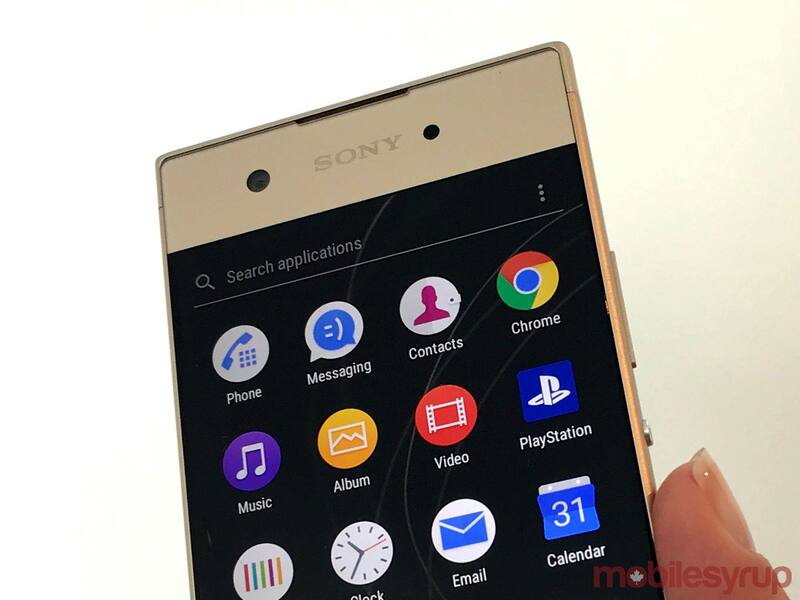 Sony hasn’t revealed anything yet about which carriers will carry which devices. Nor did the company suggest it might choose to also sell the devices unlocked direct to consumers. If last year’s rollout is any indication, only certain carriers will choose to take these two phones on. 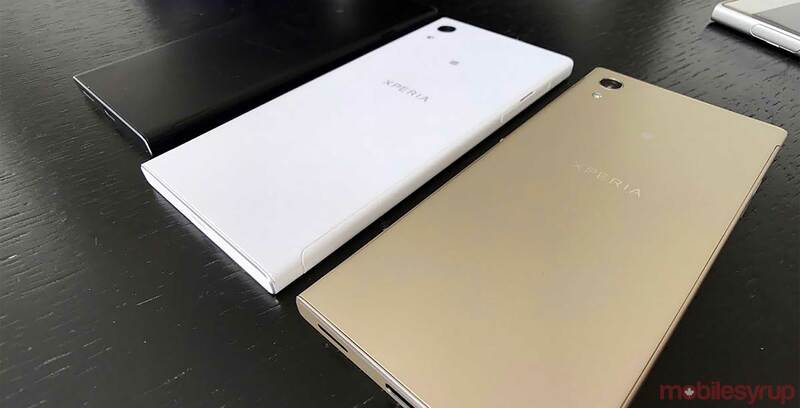 The Xperia ZX Premium and Xperia ZXs will get more attention from the Big 3, whereas flanker brands and regional providers are more likely to look at these mid-range devices. Both have black, white and gold versions, although these are region-specific, so not all colours may be coming to Canada.